← Do you see pop-up ads on my blog? 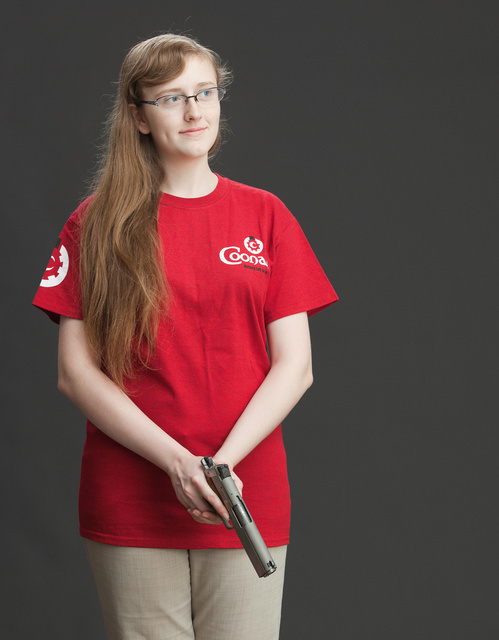 Dan Coonan is very fond of saying that shooting his gun is an experience. 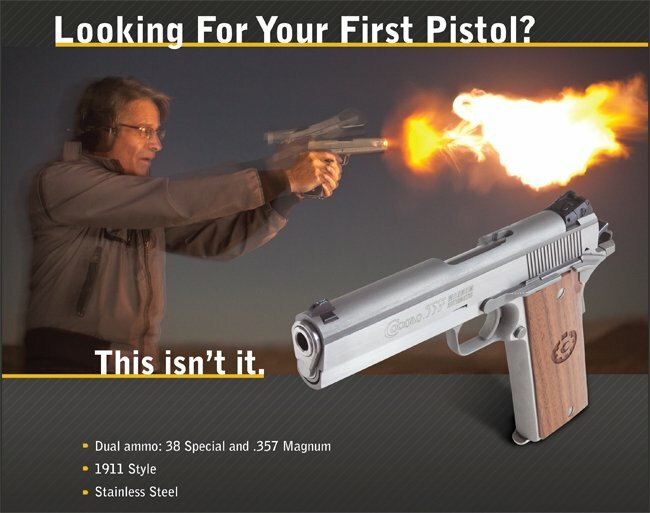 It does have more muzzle flash and recoil and muzzle rise than a typical wonder-9. …and more because they don’t kick or flash enough. Her toys are chambered in 44Mag and, for more laid-back experience, 45Colt. Full-house 44Mag is a nice handfull even in her large, heavy Astra revolver — enough bang to rattle her braces. And now you know what girly girls shoot when they aren’t pretending to like pink 25ACP automatics. 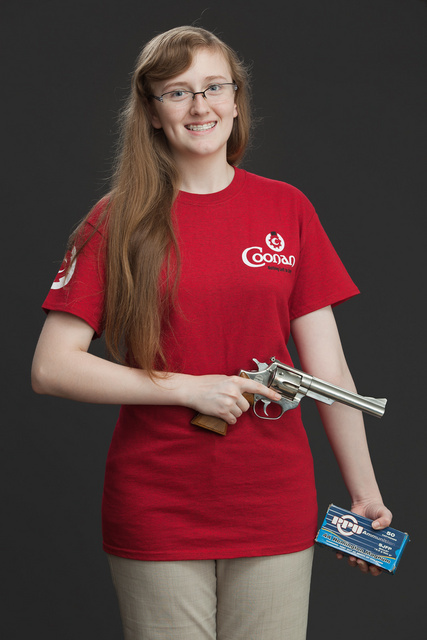 This entry was posted in ammunition, interesting people, pistol and tagged 357Mag, 44Mag, coonan, girl, PPU, revolver, semi-auto. Bookmark the permalink. 14 Responses to Recoil is relative. I teach a “Buying Your First Handgun” class, where the second session is firing several handguns between .22LR and .44Mag. About half the ladies who take the class have a go with my Dan Wesson. And smile. I noticed that, here at least, during the worst of the ammo shortage, 44 cal. and the longer 45 cal. bullets were still available, for them that reload. There were months at a time when 40 cal and 9 mm bullets were non existent. Point being that 44 Mag is a good choice for several reasons. Does she carry that hog leg? 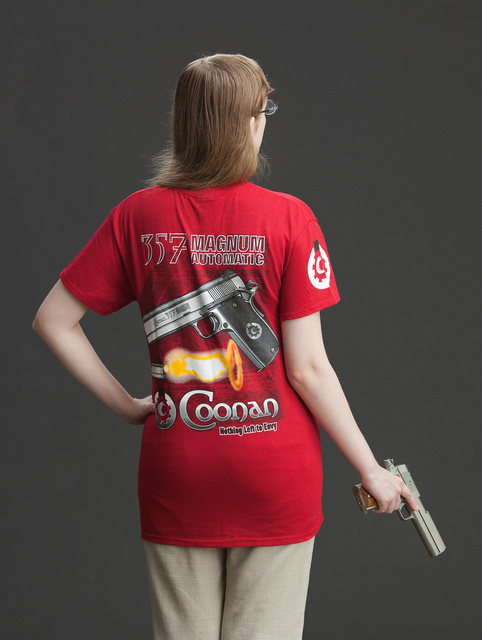 Most ladies would find the Coonan a handful because it is a heavy piece with a long front-to-backstrap grip. Oleg very generously let me use one for a time:4 other shooters (including one fairly petite lady) liked it.No one complained about felt recoil;indeed the lady said it kicked less than the revolvers she’d shot. Packin’ this thing’d be interesting to say the least,but it’s a shootin’ SOB. The 2.5″ 66 a beast? Nah, I love mine. About 5 cylinders of that and my penmanship gets worse than it already is. Doesn’t she have a 1917 S&W you could have photographed her with? MZW isn’t this fine young lady your daughter if I recall correctly. Your and your wife have done a wonderful job in raising your daughter. Kudos to all of you as being a family is a team effort . I used to tell the officers I supervised there is no “me” in team. Its the same with successful families. She is, and thank you. No way, your daughter is an itty-bitty thing of about 5. Kudos on a beautiful family as well. I’m sure some girly girls do like pink .25s. Hell, I like my PT-25 well enough, and wouldn’t care if it was pink. I am secure in my full-grown-manhood, and they can be secure in their girldom and shoot any gun they like, just like me. Some of you may not know that she has a nice pink hello kitty AR-15. Not my color but I would shoot it.